Z-Wave Europe has announced that “Z-Way”, a smart home software developed by Z-Wave.Me, will be extended with many practical applications. Z-Way for home automation is already frequently used on Raspberry Pi computers. 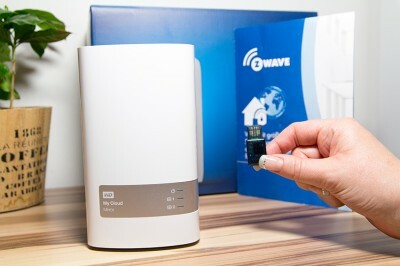 Storage expert Western Digital also uses the Z-Wave.Me software for its products, with the Z-Wave USB stick WD My Cloud devices can be turned into Smart Home Systems. As of now Z-Way has an own app store to ease setup and operation for smart home users. Similar to smartphones, ready-to-use applications take over defined functions within the intelligent home and can be configured to the needs of the user. Smart home systems currently available on the market are complex regarding own automations and require programming skills for individual adjustments. With the slogan “APPgrade your home” various ready-to-use apps can be downloaded from the Z-Way store. There are different applications available, for example complex heating control where the user only has to select devices, rooms and heating times via the app. Z-Wave.Me plans to extend its choice of apps within the next few months. Furthermore, the app store is open for external app developers who can register on developer.z-wave.me. Then it’s possible to add own applications which will be checked and released by Z-Wave.Me. Using an own user code – so called token – the developer can make the app available to a limited group of people for test and use. The Z-Way app store will be supported in future by z-wave.info, an English-speaking and manufacturer-independent web portal, which provides information and manuals for a variety of Z-Wave devices. More information can be found at www.zwave.eu.